Jodie Deards says her award has opened up many opportunities. 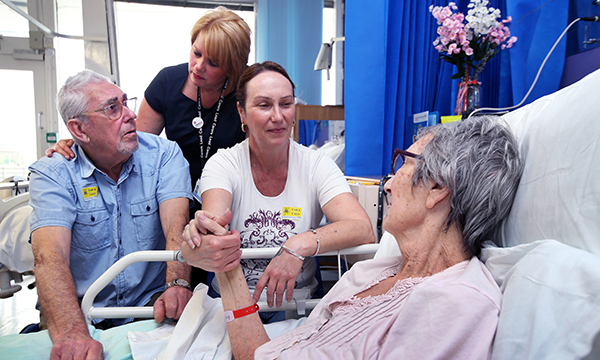 I entered the NHS England Commitment to Carers category of the RCNi Nurse Awards in 2017 to increase the profile of carers throughout East and North Hertfordshire NHS Trust and to share best practice. I was excited about the work I was doing in the trust to support carers and wanted to celebrate it. When I received an email to say I was one of the five finalists in the category it came as a surprise. To be shortlisted from the hundreds who had applied helped to validate what we were doing at Lister Hospital in Stevenage. Just that on its own felt like an exceptional achievement. The process of applying and the award journey was seamless. I was invited to present the project to the judges. Although it was daunting, everything was very relaxed and informal. The judges were friendly and keen to learn about our initiative and how it had improved carers’ experiences. When the day of the ceremony arrived I felt proud to be in a room with so many exceptional nurses and leaders within our profession. It was a celebration of the entire profession and made you so proud to be a nurse. In the afternoon, I met the other finalists in my category and Jen Kenward from the category sponsor, NHS England. It was interesting and inspiring to hear about the work of other finalists. Regardless of who won, we had all made a difference to carers in the area in which we work. At the ceremony, you learn the details of the initiatives of all the finalists, which was inspirational and moving. Winning the award among such high-calibre nurses came as a shock. I was lucky to be able to celebrate my win with my trust’s director and deputy director of nursing. All I kept saying was: 'I was just doing my job'. I have had an incredible year since winning the award. Seeing myself in a featured article in Nursing Standard was a proud moment and inspiring to my niece, who is currently studying nursing. The award has opened up many opportunities. I had been on a 12-month contract but was made a permanent member of staff. I had the opportunity to be part of the initial working party for NICE guidance development for Supporting Adult Carers. 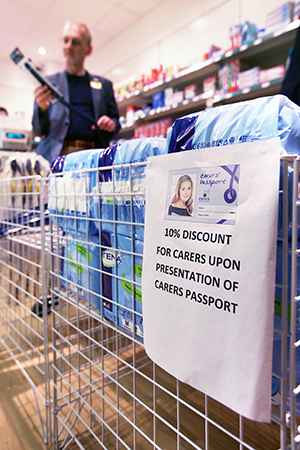 The trust and the work I have done is featured in a 'carers passport toolkit' produced by Carers UK, and I have been asked to submit a case study to the NHS website outlining the work that led to my award. I have also had the opportunity to meet colleagues from Surrey and share best practice between our organisations. In my trust, recognition achieved through my RCNi award has helped with the embedding of all the changes I instigated. It has given me the confidence and drive to improve services for carers in Hertfordshire and to ensure a more joined-up approach with community services to make the caring journey seamless for the carer. I have been able to share our work with the local community trust and they are planning to implement similar partnership working in their community hospitals. Together we are developing a single carers’ pathway to be used in Hertfordshire (based on the Hertforsdshire Partnership University NHS Foundation Trust carer pathway) and are currently planning to join up our carer support groups, improving support for carers throughout the county. I was offered a grant by NHS England patient experience to develop and implement a carers’ handbook to support the pathway I am developing. The handbook will provide information, support and signposting to services for carers to enable them to be more confident and resilient in their caring role. I have had great support from NHS England head of patient experience and carers’ programme lead Jen Kenward since winning the award, and she has been to visit me at my workplace. RELATED: Jen Kenward is a nurse and a carer. 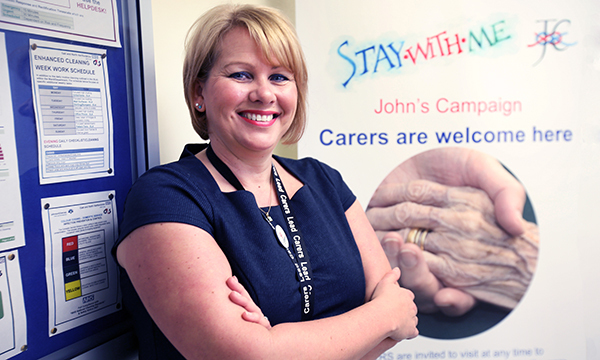 Read her blog about the importance of carers here. Entering the RCNi Nurse Awards is one of the most inspiring things you can do as a nurse. It’s an opportunity to reflect on your nursing practice and understand the impact your initiative has on others. The NHS is going through challenging times, but they are exciting times too. Innovation and working differently to provide excellent care is embraced in what I do and the RCNi awards recognise this. Nurses are amazing. We are clever, creative and resourceful. But we aren't good at recognising this in ourselves. If you have implemented an initiative that has made a difference, please enter. It will be the best thing you can do. The 2017 Commitment to Carers award was sponsored by NHS England.